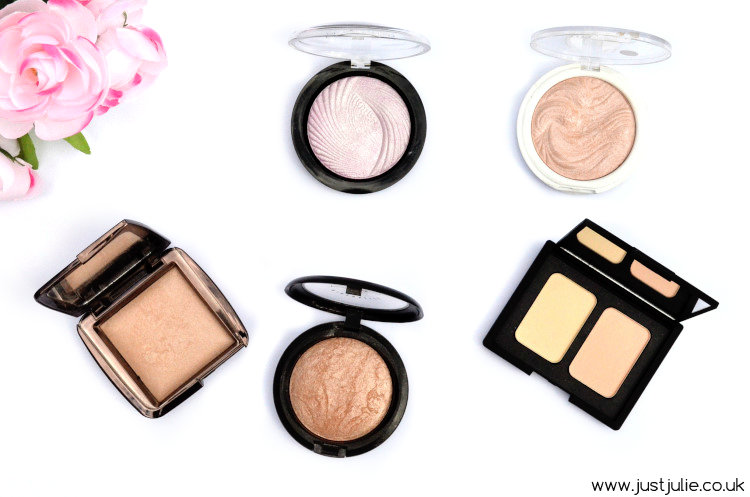 It's been awhile since I've written a Top Picks post and with the weather improving slightly it's all about achieving that summer glow to the skin, something powder highlighters do a fantastic job at doling. Anyone can wear a powder highlighter, but if like me you have oily skin and like to wear matte makeup then trying to achieve a subtle glow can be a little tricky. I'm not the biggest fan of luminous foundations or cream highlighters as they just slid off my skin and make me look even more oilier, which is never a good look. So adding a powder highlighter to the high points of my face (cheek bones, brows, bridge of the nose, centre of forehead) is a must have for me. Another drugstore gem here.. I'll be honest back when I bought this there was only one shade available, I've since discovered they now sell three shades so I can't be 100% certain that this is iridescent gold, however I'm pretty certain that this is! Again another powder with a gorgeous pattern, however the packaging is not as nice as the MUR powder, but hey this is only £3 so why be fussy right? This is so smooth to touch and apply and with it's golden undertone it really helps to achieve a sunkissed glow to the skin. Yeah I haven't made a mistake here, this is actually meant to a blusher but I struggle to see or get how this is a blusher? It's very sheer and has no real colour to it, either shades. Now it may seem like I'm slating this but I'm not, they both have a slight sparkle that's almost naked on the skin and as a result they both work amazingly well as highlighters, especially for those who like something more subtle. One side has a more pink undertone, whereas the other slightly more golden, so you have two choices in what highlight to go for. 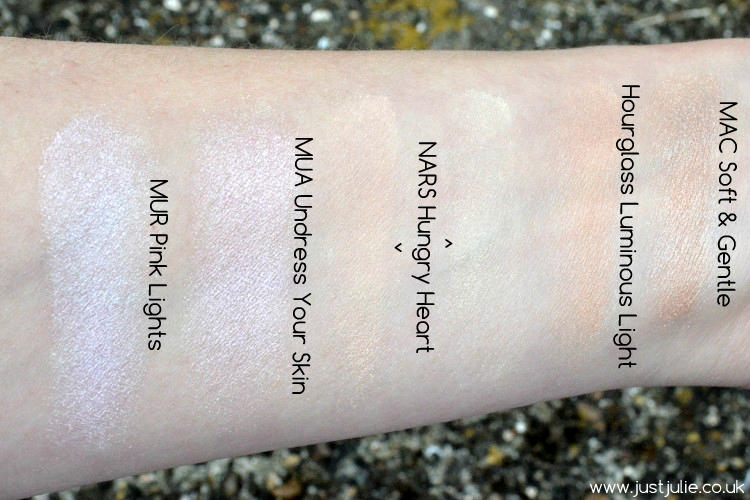 Ok I know this is a bit of a touchy subject here, some will agree that this works fab as a highlighter, others scream blasphemy at the sheer mention of 'highlighter' Now for me I think each of the different shades within the Ambient Lighting Powder range works slightly different to each other, especially on different skin tones. For me, if I add this all over my skin as a setting powder I end up looking super oily come lunch time, however if I apply this after I have set my foundation and gently brush this over my skin, concentrating more on my cheeks bones then I get a gorgeous healthy subtle glow, that doesn't make me look super shiny. I tend to use this more on days where my skin is looking a bit dull as it definitely helps bring something different to my complexion. 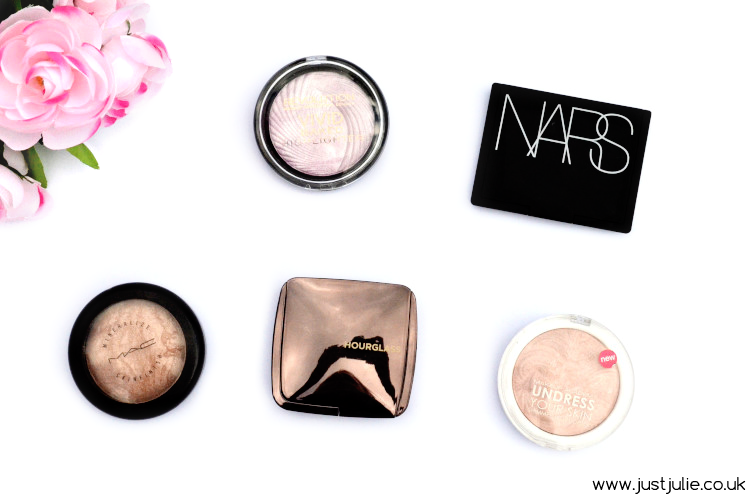 Highlighter or setting powder, regardless this does help you achieve a gorgeous finish. Now this is my favourite highlighter. I adore the marble-effect pattern to the powder and the finish with this is just stunning. This has a gorgeous golden undertone which works amazingly on my skin (although I'm pale I do fake tan) There's no real glitter junks that so many highlighting powders seem to contain, it just has this sheen to it that helps to highlight the areas you want to highlight in the best possible way, it captures the light like few can achieve and gives killer cheek bones that photograph amazing. This will always be my favourite, I'll probably still have this in 10 years time as I tend to pull this out on those special occasions. I'd love some other suggestions of highlighting powders, there's a few I'd like to pick up but I'd really like to know what you would recommend too.